The idea of decorating a table for a very special occasion is something that does really scare a lot of people. This is down to the fact that such people always think that they will not be able to pull it off with regards to the people that have been invited to that event or occasion. However, this is something that should not be viewed with such fear due to the fact that success at table decorations can be achieved with very little experience. When you always try to be a copycat that is when you end up with a very disastrous centrepiece decorations. It is therefore always better to go with your own unique ideas in conjunction with the few tips that you will be provided in this article. Due to the fact that you may not get the same materials like the one you saw somewhere, that I why you always need to stick with your instincts. The nature of the building itself and the interior painting all play a very important role in table decorations. With the tips that you will be provided in this article, all you need to do is pick your materials and the colour you wish to go with and you would have done almost 50% of the task. 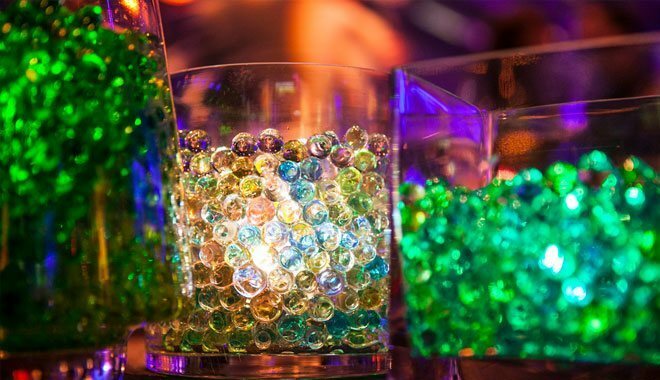 Break the monotony: In order to leave a very impressive mark on the minds of those who will attend an event with your table decorating prowess, it is always important to make sure that you mix up the items that will be put on the tables especially those long tables. Decorating a very long table with plates and other materials that are of the same length is just not what you need. That is why you have to ensure that you have things like candle holders and flower vases that are of a very significant length. Doing that will help in ensuring that people won’t realise how long the table is but would rather tend to appreciate the creativity that is at play. Not every part should get decorated: This is one area that has always provided the most difficulty when it comes to decorating a table. Most people get caught up in a very sticky situation as they try to cover every part of the tables with some kind of material. However, the idea is to picture the whole place in a very unique way so that the colours. The place should never be pictured in parts but as one big canvas where you get to let out all your creativity. Make use of a variety of shapes: To settle on just plates or tables with just one unique shape is a way of spelling out your own downfall. Different shapes when put together in decorating a table helps to add an extra bit of style and class. With these three tips for table decoration, your own creativity and believing in yourself, you will surely make it. What Type of Plants Grow in Water Beads What Are Water Beads?